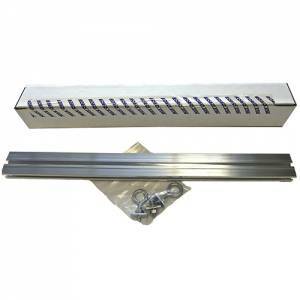 The LightRail light mover RoboStik allows us to customize our indoor grow light pattern. LightRail light mover RoboStik turns our grow lamps 90 degrees from the direction of travel. 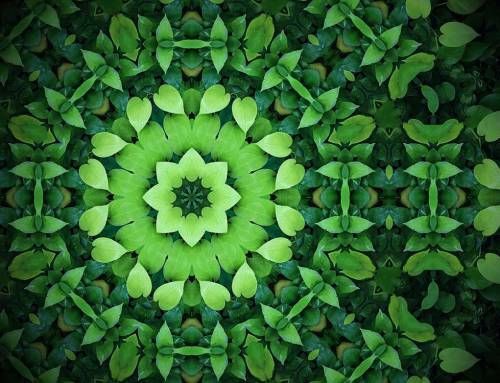 This gives our indoor plant light a wider grow lamp pattern. The LightRail light mover RoboStik is super clever in what it can do for our grow light movers. First let’s look at its intended use, which is to position a grow lamp ninety degrees from the direction of travel. That grow light system change allows our indoor grow lights to turn sideways. In other words, each indoor grow light is now perpendicular to the direction of travel. And, when our indoor grow system lights are sideways, they affect the indoor grow setup this way. 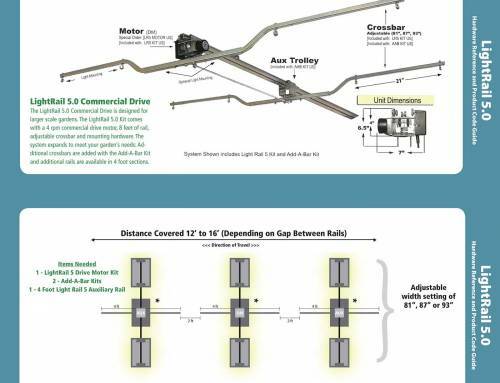 The LightRail light mover RoboStik allows us to have a wider pattern of grow lamp coverage for our grow light system. So, a little more width in our grow lamp coverage might be just right for our indoor grow system needs. So how does this work for indoor grow lights that we don’t want to be turned sideways? What if our indoor grow setup is better with inline grow light systems? For most of us, that’s probably true. So, in that case, we would not necessarily need a LightRail light mover RoboStik. 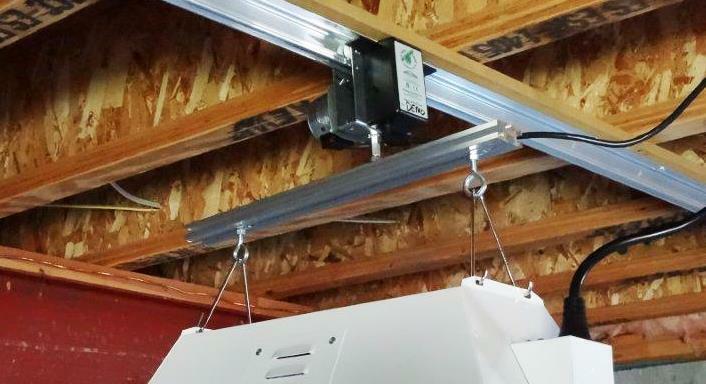 We would simply have our indoor grow lights hanging from our grow light movers with no RoboStik in between. The LightRail light mover RoboStik is 24″ long and comes with hardware and instructions. 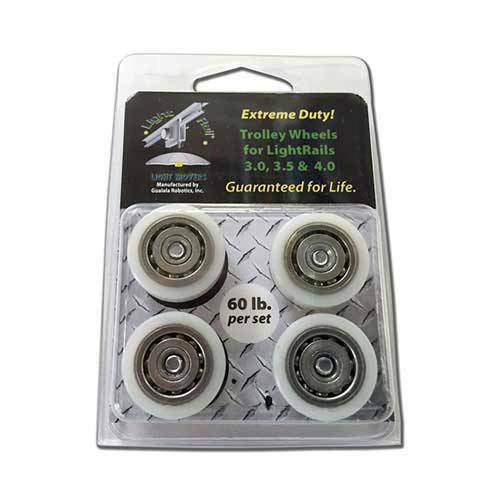 Exceptions to needing LightRail light mover RoboStiks for perpendicular travel exclusively would be in hanging certain grow light systems that are heavy or awkward. So for example, some LED grow light systems are easier to balance out by using RoboStiks. Also, indoor grow lights that are off-weighted with the ballast up in the grow lamp might be easier to hang. And, that grow equipment detail is accomplished by using a LightRail light mover RoboStik. So, grow lamps such as the Gavita style grow lamps can be hung this way. Or, they can simply be hung with rope ratchets only because those are self-balancing. Here is an article that covers the hanging of these specific grow light systems. If we use the LightRail light mover RoboStik for balancing off-weighted grow lamps, then the RoboStik becomes a fulcrum. 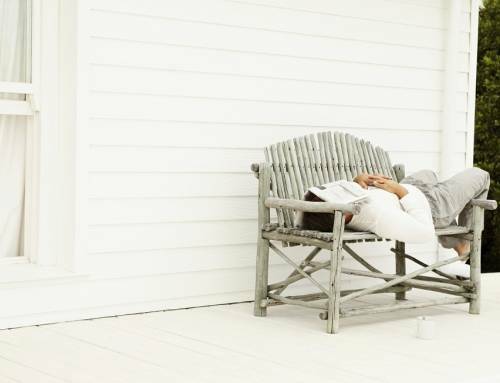 And, as we work with it for grow light system balance, we do this. We move either hanger side closer in or farther out from the center of the RoboStik to achieve balance. The LightRail light mover RoboStik is 24 inches long. 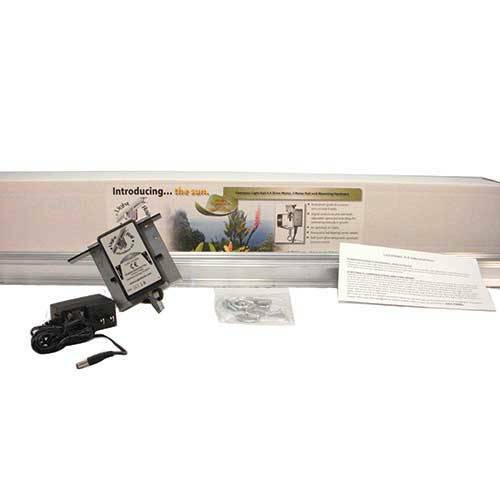 And, this grow light system accessory does not come with any of the grow light mover indoor growing kit. So, it would need to be purchased separately. 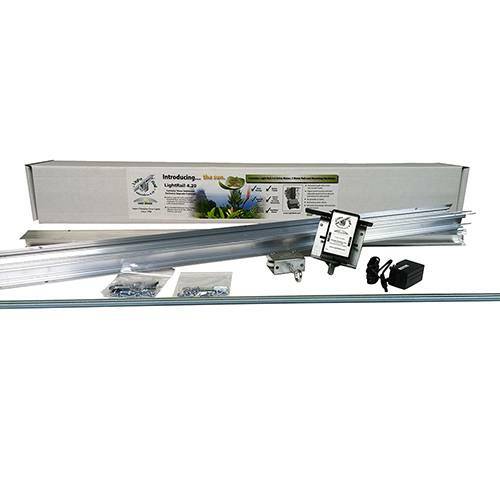 Also, this grow light mover addition is compatible with the LightRail 3.5 Kit, the LightRail 4.0 Kit and the LightRail 4.20 Kit. It is also compatible with the older LightRail 3.0. 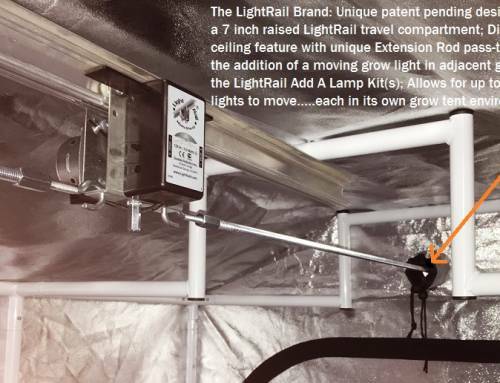 But, the RoboStik is not compatible with LightRail 5.0 because LightRail 5.0 is a differently sized grow light mover system. Can we use the LightRail light mover RoboStik to turn a second or third indoor grow light sideways? And, can the grow lamps that move as part of the Add A Lamp indoor growing kit use RoboStiks? With the second and third grow lamps moving under the trolleys of the Add A Lamp Kit, the answer is yes. We can have the RoboStik work with this type of indoor grow system. But, we would need a specific indoor growing kit part. And, that part is called the Add A Lamp to RoboStik Hardware. 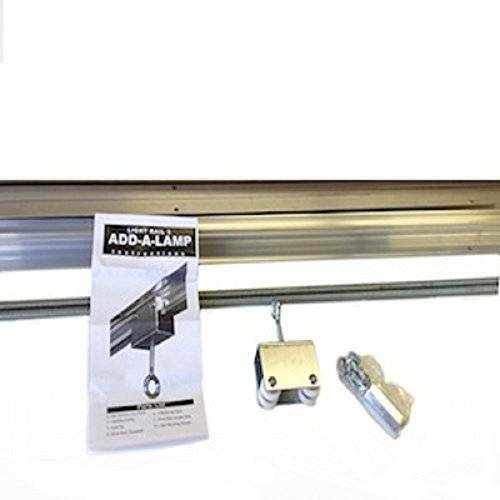 That indoor grow setup hardware connects a RoboStik to the Auxiliary Trolley of the Add A Lamp Kit. Grow light movers are necessary for getting the most out of our grow lamps. And that’s true for getting the most out of our indoor grow system, in general. The LightRail light mover RoboStik allows us to fine-tune our grow light mover. And, that’s for any indoor grow setup. The RoboStik lets us finesse our indoor grow light hanging. And, it allows us to get a wider swath of indoor grow light coverage. The LightRail light mover RoboStik gives any indoor growing kit clever options. And, those grow equipment options give us more versatility and customization for our LightRail light movers.